Dr Zampierollo (Osteopath) graduated from RMIT with a double degrees in Bachelor of Applied Sciences (Clinical Science) and Bachelor of Osteopathic Science. She has been a valued member of the Australia Osteopathic Association for many years. 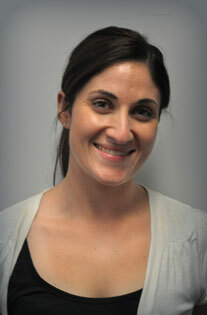 Dr Zampierollo (Osteopath) has a passion for fitness, sports, nutrition and healthy living. Daniella has a keen interest in treatment of babies and children, she has completed a Postgraduate Certificate in Paediatric Manual Therapy. She also has a love for running which has lead her to complete a Certificate III in fitness, Certificate in Children Fitness (MiniMoves) and Pilates. She enjoys treating a variety of aliments from sporting injuries, postural complaints to headaches and jaw pain. Clinical experience has lead to extensive exposure to pregnancy, women’s health which she has a passion in treating. To optimise the greatest benefit for her patients Daniella is consistently attending seminars and workshops. She has completed a Dry Needing and Cupping course.